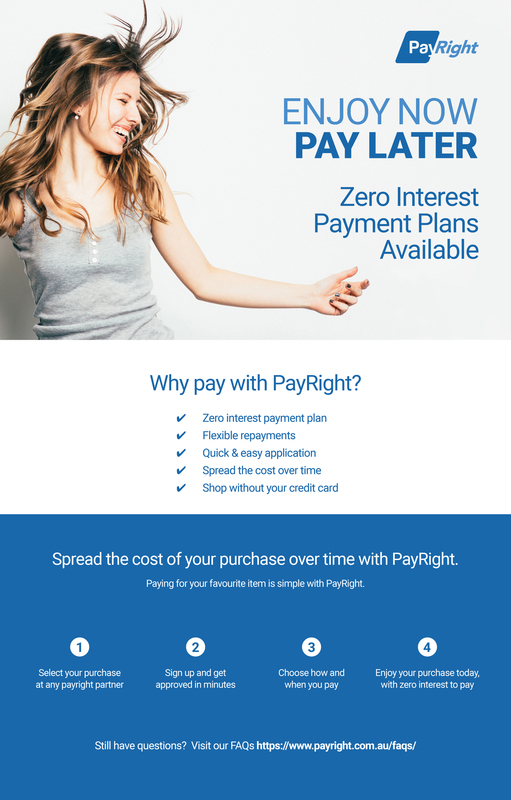 We are excited to offer Zero-interest Payment Plans to our clients, through PayRight! Take home your products within 2-4 weeks! You choose the payment plan term, from 3-12 months. No exit fees if you pay it off quicker. Minimum 20% deposit required on the day, and Approval is done in 10 minutes. Let’s arrange your payment plan today, so you can start enjoying your products straight away. Yes, I’d love to book a session!